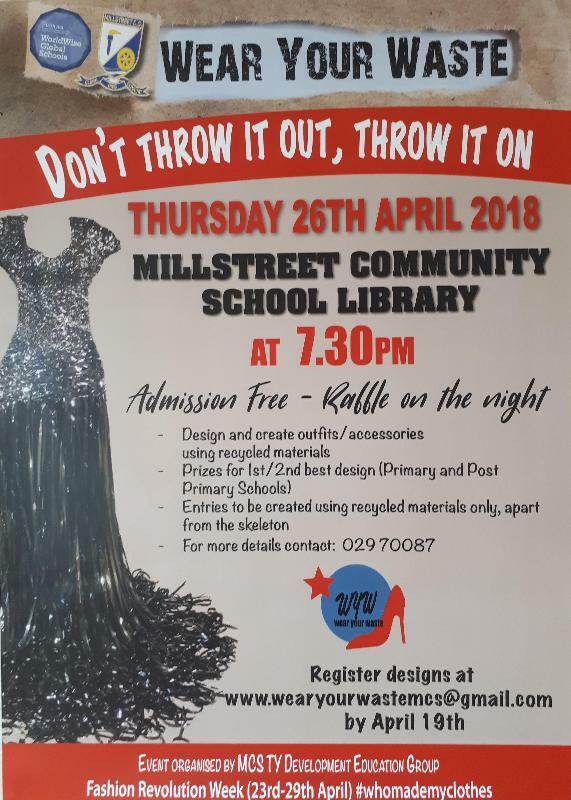 Wear Your Waste event at Millstreet Community School – thank you! The day has arrived for Wear Your Waste! It will be a great celebration of the hard work put in by pupils and teachers from all the local schools. Around 30 creations made using recyclable material will be ‘modelled’. There will also be music, song and dance during the evening along with a raffle with lovely prizes. There will also be prizes for the most creative entries in the competition. 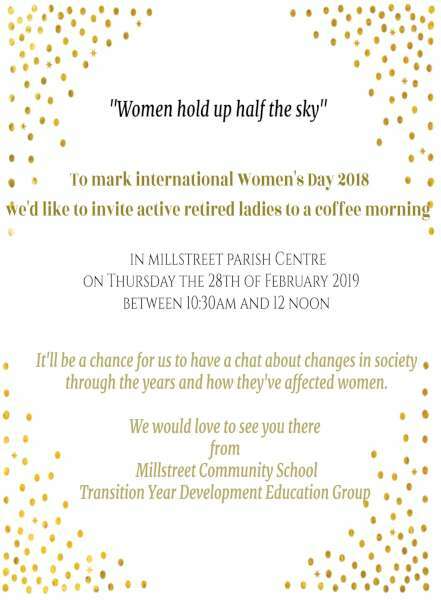 Admission is free and everyone is welcome to come along and show their support, not just for the participants but also for the Transition Year students who have been planning this ingenious event for a number of months. 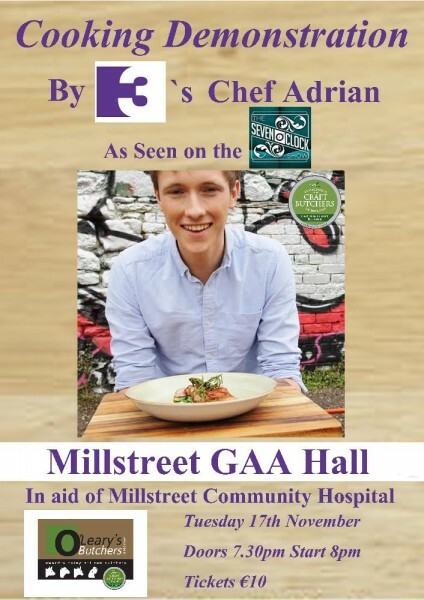 The night will start promptly at 7.30pm and participants are asked to be in Millstreet Community School by 7.15pm so that the running order can be confirmed. A group of students from Millstreet Community School who formed the school’s first development education committee during their Transition Year in 2015/2016, received certificates in recognition of their efforts from Garda John Crowley. 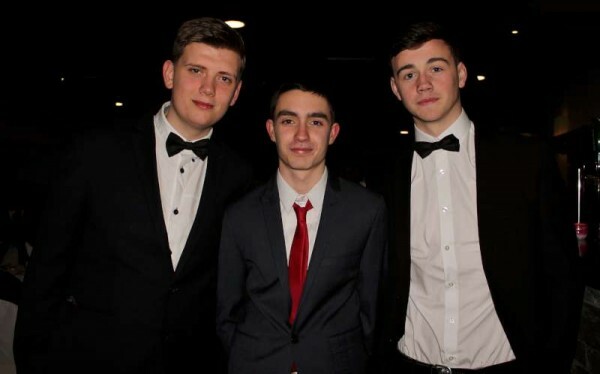 They had organised a range of activities within the school and local community. 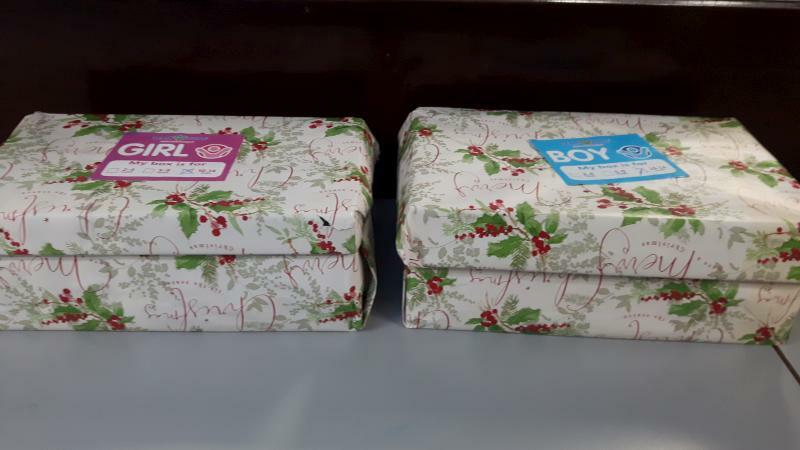 These included a climate change petition, the ‘thumbprint’ campaign, and a climate change seminar for local post-primary schools in Green Glens Arena. They also taught lessons to students on Fairtrade and the UN sustainable development goals. 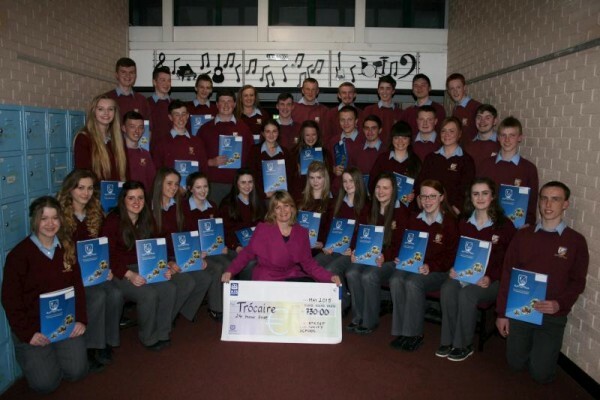 Trad for Trocaire at Millstreet Community School – thank you! Thank you to everyone who attended the Trad for Trocaire event that took place on Friday 7th October 2016 in Millstreet Community School. It was an evening of fine traditional music, song and dance. 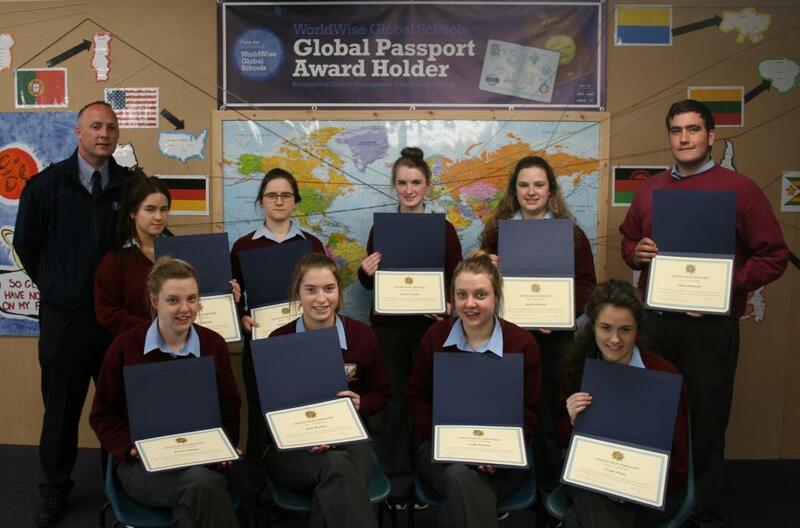 Well done to all the students who participated. A total of €297 was raised to support Trocaire’s work. Thanks for your generosity. 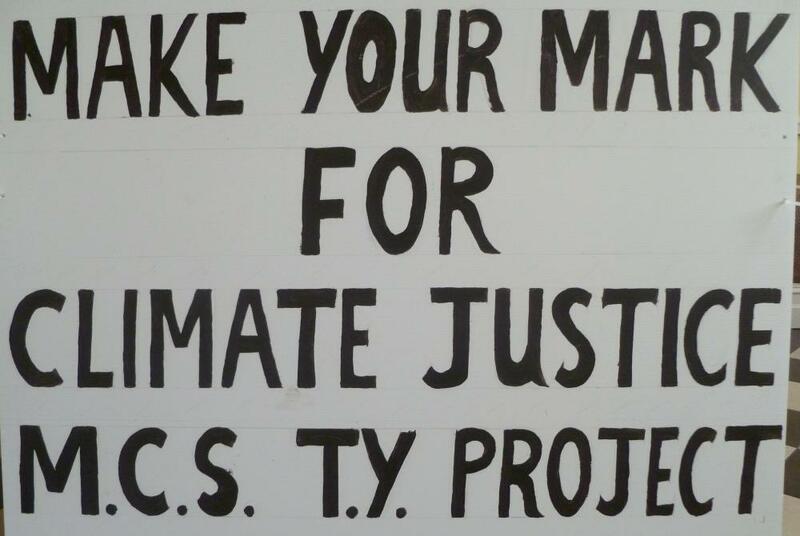 A Transition Year RE class has been working on a project relating to climate change over the last two months. 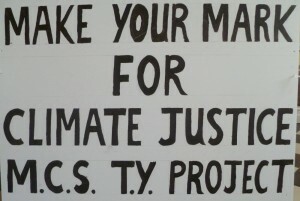 It is called ‘Make your Mark for Climate Justice’. It is inspired by Pope Francis’ encyclical Laudato Si in which he called on all humans to play an active part in caring for the planet. The project is based on a campaign run by SMA Wilton Justice and Peace office, which involved people making a pledge to make a difference in their everyday life, for example, by turning off the tap when cleaning teeth, unplugging phone chargers when not in use, and not leaving electrical equipment on standby. As a sign of their pledge, each person was invited to place their thumbprint on a specially prepared card that they could then bring home as a reminder. 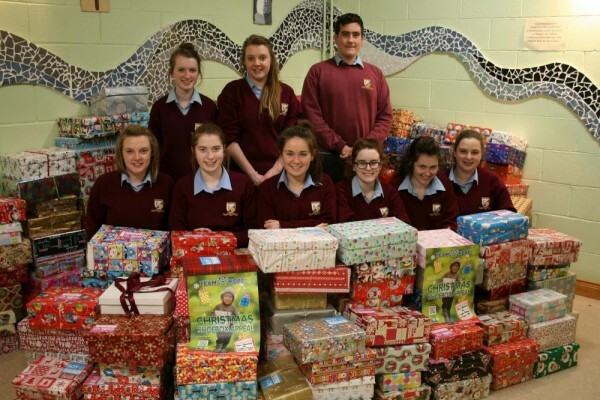 A small group of TY students from Millstreet Community School will be inviting parishioners in Millstreet on Saturday 12th March at 6.30pm Mass to do likewise. The Fun Day run by The Animal Roadshow on Sunday 14th February in Millstreet GAA Hall was a great success. 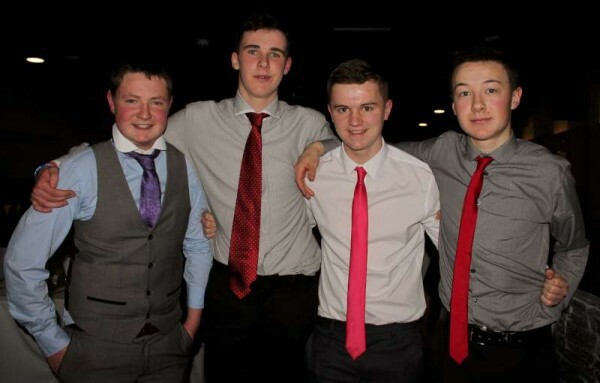 The event was run in support of the four 5th year students from Millstreet Community School who will be going to Lourdes as helpers with the Irish Pilgrimage Trust at Easter 2016. 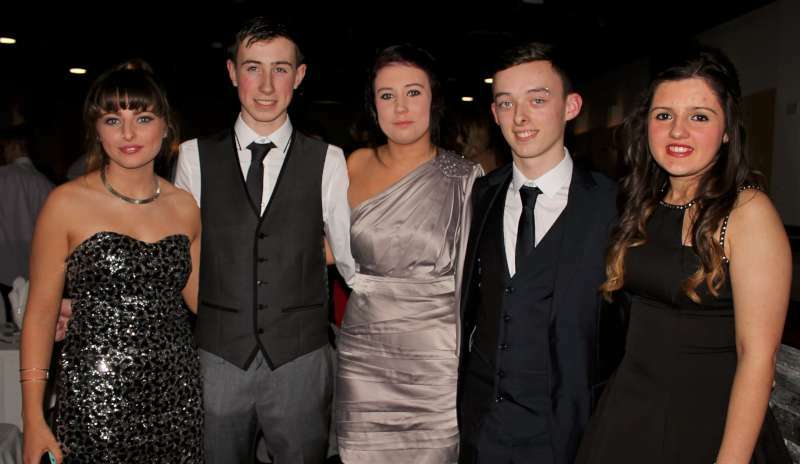 The students are Darragh McSweeney, Bridelle Cronin, Jasper Eastwood Lennon and Caroline Murphy. 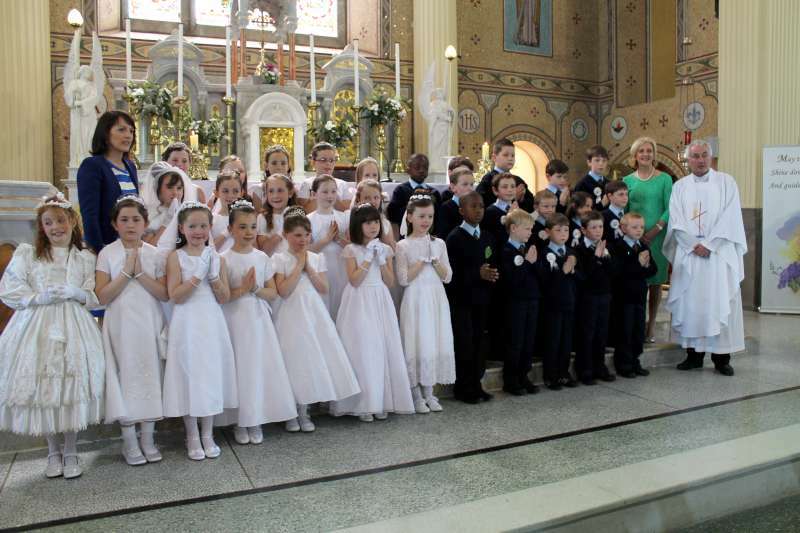 The cost of travel and accommodation for each of them is €650. 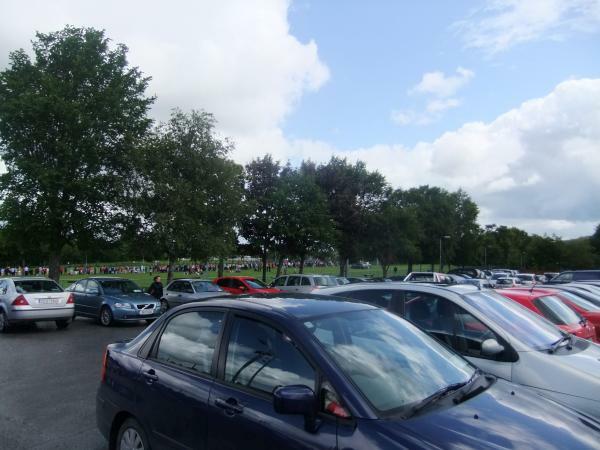 Thanks to everyone who turned up at the event and all those who helped out. It was a great team effort. 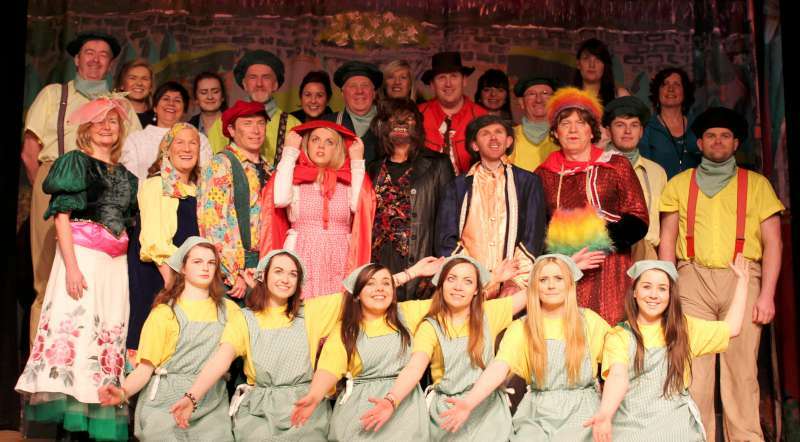 €1370 was raised. 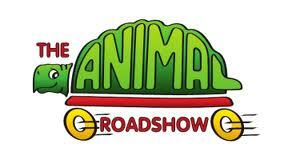 The Animal Roadshow can be booked for a variety of events. They provide a fantastic variety of activities. Please check out their website theanimalroadshow.com for more information. 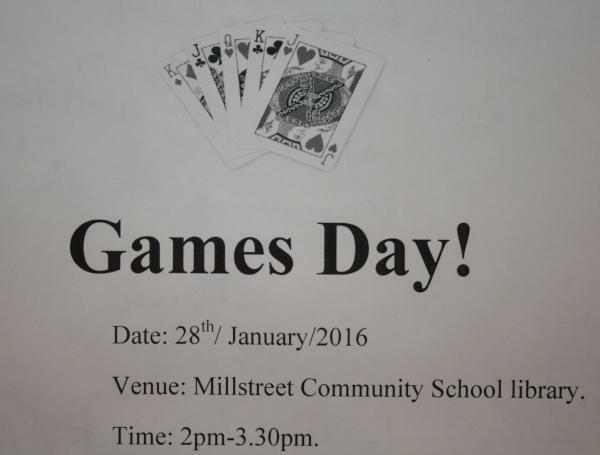 A Games Day (or afternoon) will take place in Millstreet Community School on Thursday 28th January from 2.00-3.30pm. 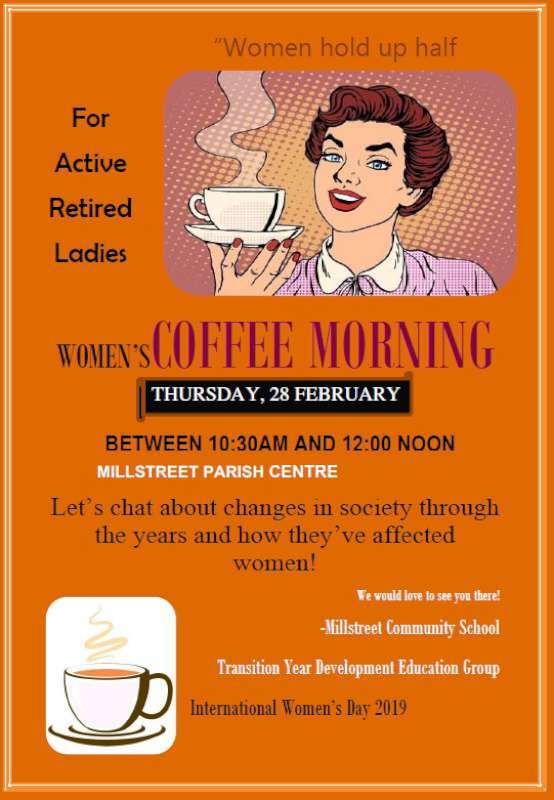 It will be hosted by a group of the Transition Year students and is open to adults of all ages. 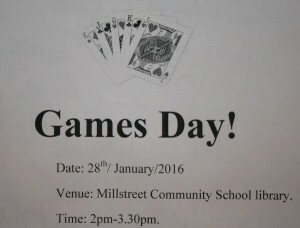 A range of card and board games will be played. 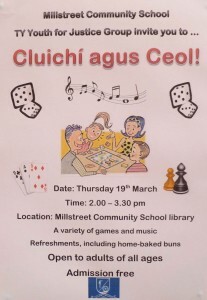 There will also be some traditional Irish music and freshly baked refreshments to enjoy! Admission is free. The meeting between the Millstreet Community School TY Youth for Justice group and some adults in the community is due to take place on Thursday 14th January between 2.50pm and 4.00pm in the school. 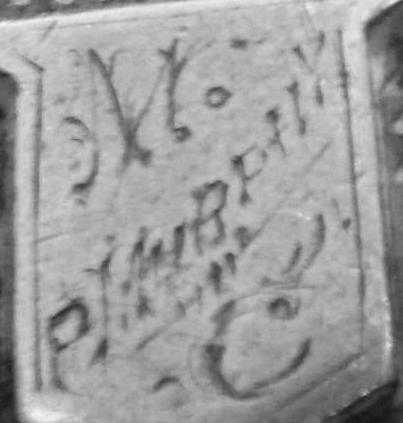 There had been some confusion over the date. Apologies! 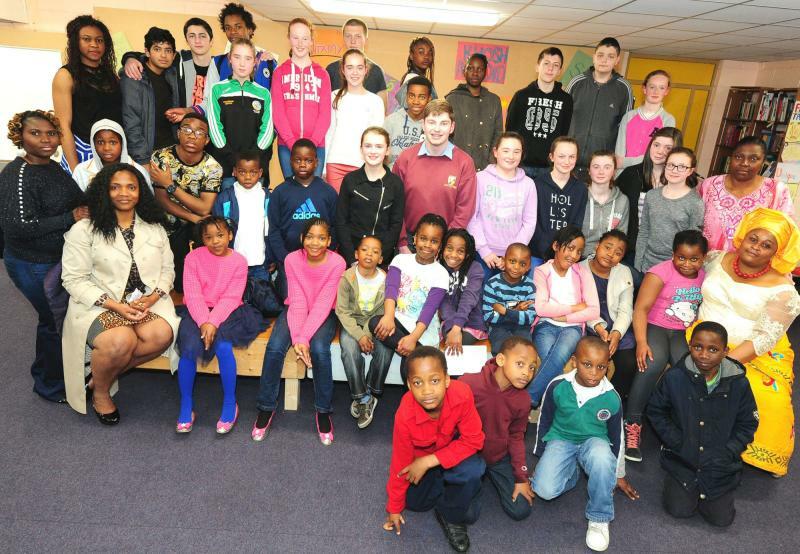 Some of those who took part in the Language and Culture Night in Millstreet Community School last Thursday May 7th. There lots of more photos below. A sign of the changing nature of Irish society became evident in Millstreet Community School, the Transition Year students hosted a Language and Culture Night from diverse nationalties. The event brought together young people and their families in a celebration of the different languages and cultures, including Irish, which now exist in the Millstreet area. 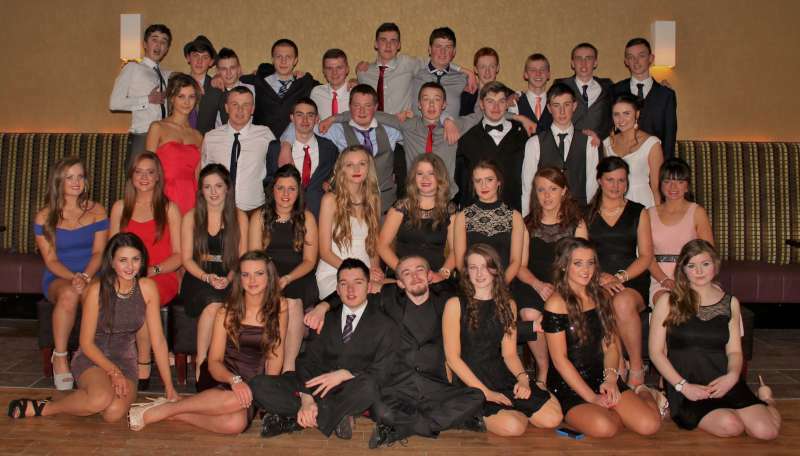 People from over ten countries were involved in some way in the enjoyable evening. Including personel from Poland, Chechnya, Côte d’Ivoire, Germany, Nigeria, Malawi, Pakistan and South Africa. 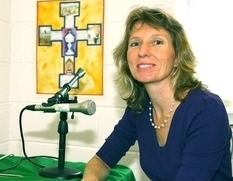 Millstreet Community Schools Active Lenten Programme was featured on The Horizons radio show which aired on Radio Kerry yesterday morning from 9am to 10am (Sunday March 22nd). 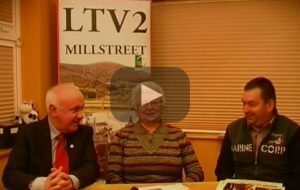 Noreen Moynihan interviewed school chaplin John Magee and the students about the activities (Fair Trade, Climate Change, Language and Culture) that have been taking place in the school in the last few weeks. To listen to the students talking about the projects, go to Horizons “Listen Now” page. In the audio player, click on “Part2.220315”, and you can hear it from 00:00 to 7:40. 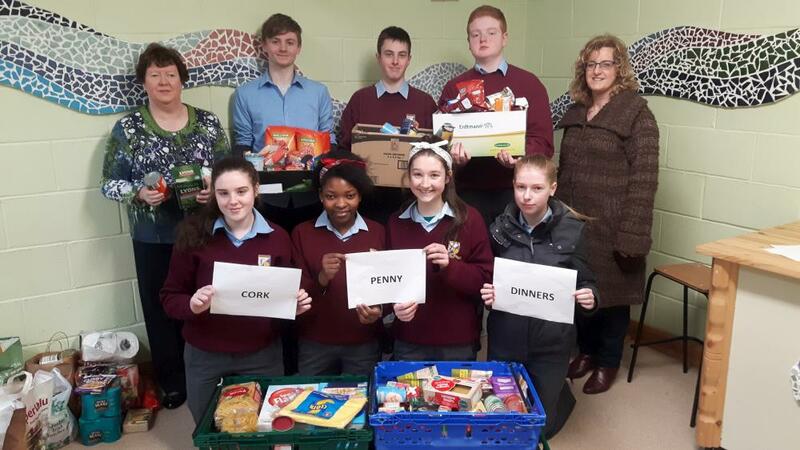 Millstreet Community School Transition Year Fairtrade Group have conducted a survey of Fairtrade products in our local shops and found a great variety available. 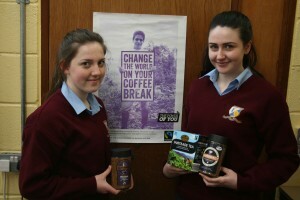 Buying Fairtrade labelled products is a powerful way to make a difference to the lives of people in poorer countries. Simply by switching to Fairtrade, you can help lift people out of poverty, at no cost to you. Fairtrade actually changes lives, by eliminating the causes of poverty. It guarantees fair wages; no child labour; environmental sustainability. Locally available Fairtrade products include flowers, all Cadbury’s chocolate, some Nestlé chocolate, tea, coffee, drinking chocolate, Green and Black chocolate, and a wide variety of fruit. Keep an eye out for these when shopping locally in Coleman’s Centra, Supervalu, Nibbles, Herlihy’s Centra and Aroma. The T.Y. 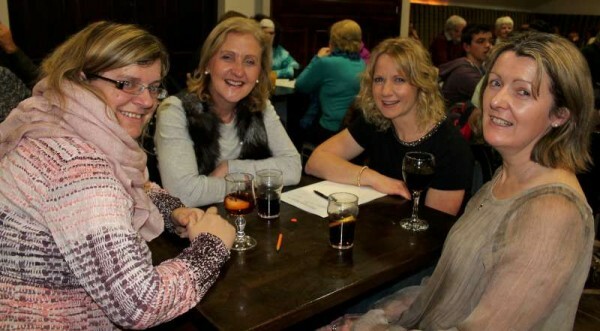 class hosted a Fairtrade Fest in Millstreet Parish Centre on 28th February, and lots of people showed an interest. The T.Y. group now hope to set up a Fairtrade group here in town with interested people looking to get more involved. We hope eventually to have Millstreet become a Fairtrade Town. 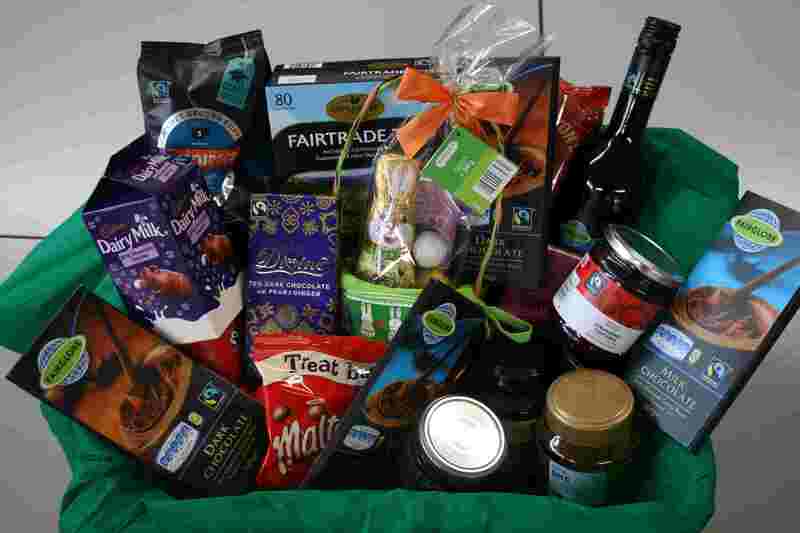 This would raise the profile of the Fairtrade efforts in the area, and get recognition and media coverage for local outlets offering Fairtrade products. See fairtrade.ie for details. It would be a big help if shops and community groups also got involved. 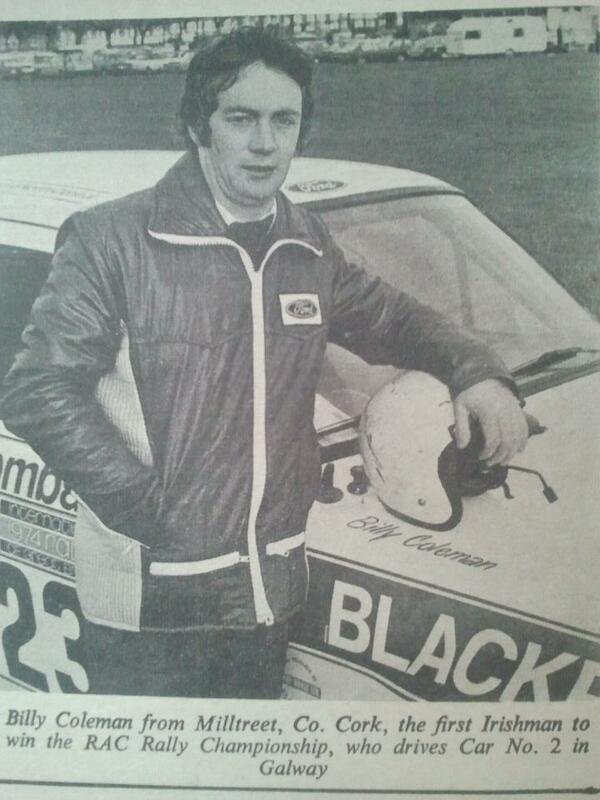 If you would like to find out more, you can e-mail <email> or phone 029 70087 and give your name and contact details. Thank you! 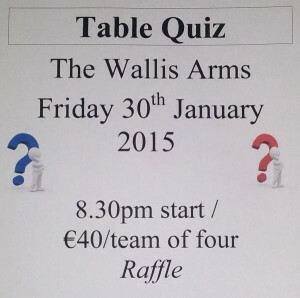 The Table Quiz that took place on Friday 30th January in the Wallis Arms was a great success. The purpose of the evening was to raise money to help cover the travel and accommodation costs of six 5th year students who are going to Lourdes at Easter as helpers with the IHCPT – The Irish Pilgrimage Trust (€650/head). Thirty two teams took part in the quiz and along with the raffle a total of €1894 was raised, which is fantastic. 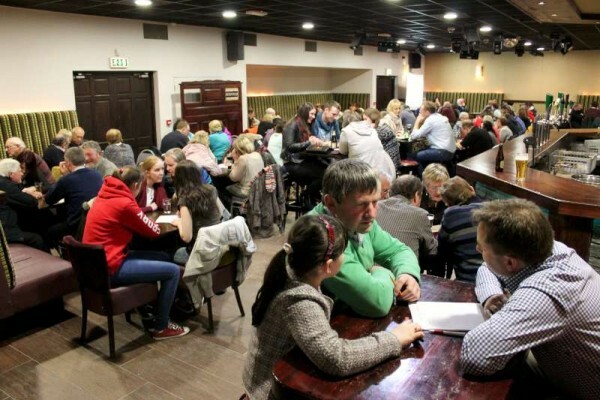 Thanks to everyone who took part in the event and helped in any way to make the quiz a success. 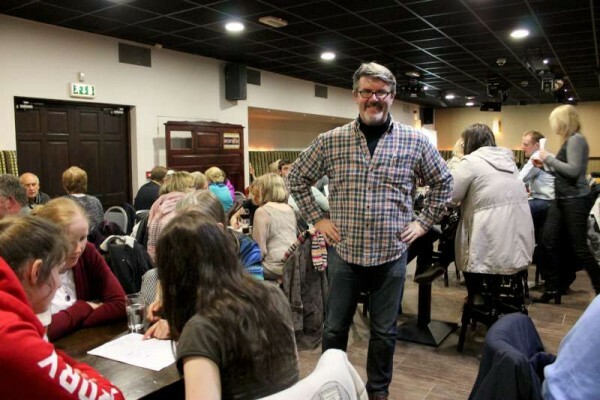 Thanks especially to the Wallis Arms for providing the back room free of charge and to John Tarrant for devising excellent questions once again. 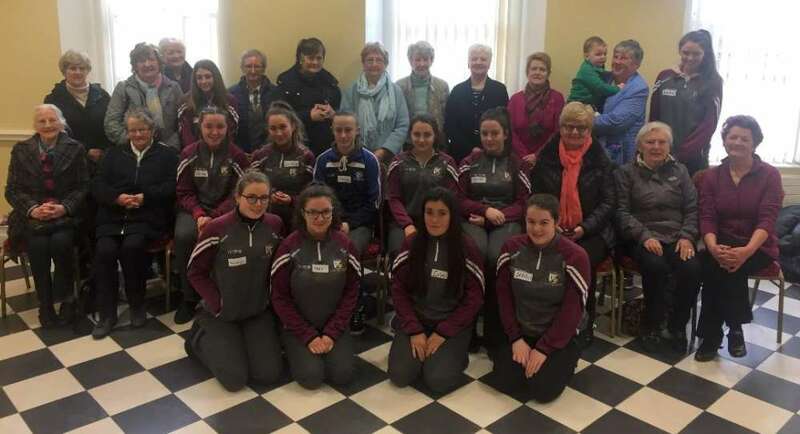 Money raised will go towards the travel/accommodation costs of six 5th year students from Millstreet Community School travelling as helpers to Lourdes at Easter 2015 with IHCPT – Irish Pilgrimage Trust. 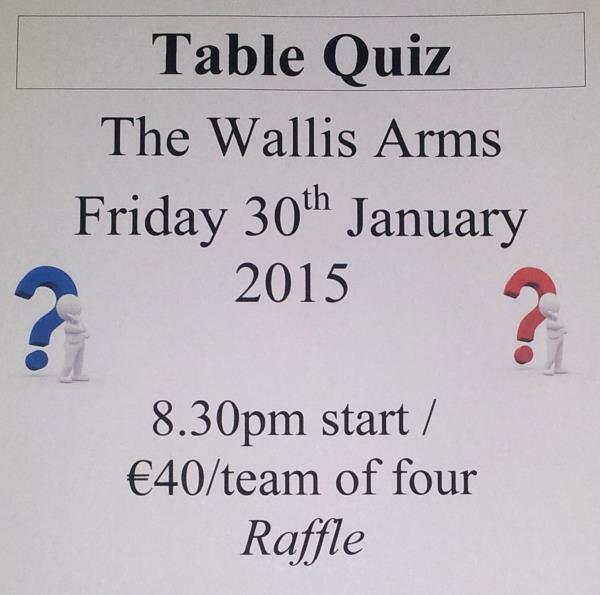 Everyone is welcome to take part in what should be a great evening.